I am an enthusiastic and positive lifelong learner with a passion for educating and empowering others to achieve their career and life goals. I firmly believe in the power of having a positive attitude to achieve career and life success. I have a diverse educational background and work history and as such I am able to draw upon a wide repertoire of experience and training in designing and delivering adult education programs. My educational background includes obtaining undergraduate degrees in Education, Business and Communications as well as certificates in Adult Education and Human Resources Management. In December 2014, I completed the online course requirements to obtain a Master of Education (M.Ed.) in Adult Education and Training from Colorado State University. 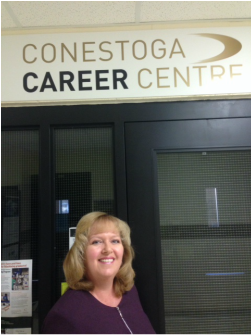 I currently work as an Instructor at Conestoga College teaching Business Students Interpersonal Communications and Organizational Behaviour. Throughout my career, I have worked as a Career Facilitator, Trainer, Consultant, Counselor, Recruiter, Job Developer, and Job Coach, My vast experience has been beneficial in effectively working with and educating diverse groups of people. I am able to utilize my varied professional experience to provide insight and relevant engaging activities that will prepare learners to successfully apply their learning to the corporate environment. In keeping with my belief in life long learning, I have taken numerous professional development courses that enhance my ability to assist learners in achieving career and interpersonal success. These include obtaining certification in utilizing assessment and facilitation tools such as Personality Dimensions, True Colors, and Myers Briggs Type Indicator. These programs, along with my experience, have proven to be instrumental in teaching adults in a manner that engages, motivates and empowers them to achieve their goals. I have developed a reputation for being a strong facilitator who walks the talk in regards to utilizing adult learning principles. My passion for learning and contagious enthusiasm has helped me to educate and empower others.